The gdADT (Grateful Dead Audience Devotional Tree). What was it, and why does it keep coming up as a tag in this blog? There is no doubt in my mind that part of the motivation to write, and the pleasure I get from doing this blog, were much the same in doing the Audience Devotional Tree many years ago. I loved AUDs, and wanted to kindle that love in others and foster that love in those who might not already have had it. Before the age of high speed collections and 500 Gig hard drives, tape trading was a little different. Back in the late 1990’s we all marveled at how the pace of trading was catapulted into hyper drive speed because of the ease in which folks could meet each other, exchange lists, pick shows, and send them off to each other. The average trade time could generally be from days to a week, where before the internet it might border on a month or more, and this after you were crafty enough to find other tapers in the first place. By 1998 I had gotten pretty deep into my steadfast preference to audience recordings and the avenues they opened up to appreciating the experience of Grateful Dead shoe recordings in general. Along with this, I was starting to find that I was having an easy time of reaching out to, and winning the trust of old tapers who were willing to send me their old master tapes, or boxes of old reel to reels. At this time tape trees were starting to appear more and more online. Essentially, a tape tree is built upon the premise that someone with the “seed” (copy of a show that not too many other folks had ) would would offer it up to four or five people in trade with the contingency that these people would commit to trading it out to another four or five themselves, and so on. The seeder, would gather the names, e-mails and physical addresses of all who wanted to join the tree, generally capping things at a certain number. Thus, like a musical pyramid scheme, hundreds of people could quickly come to possess a copy of something new on the scene in a matter of short weeks or months. Not all tape trees had hundreds of branches and leaves. And, not all trees would do more than one single seed round. Eventually the tape would be traded though a few levels of branches, each spreading the show again, ending with leaves. Leaves were typically people who didn’t have the ability to make copies of the show for others, and would generally do a B&P (blanks & postage) trade with their branch. Some trees became long running versions of “fruit of the month” subscriptions. The ADT was one of them. I started the ADT because I knew I had a couple of Dead audience tapes that were not in circulation at all – 05/20/73 (review forthcoming) and 08/06/74. The ’74 show was really what cemented my resolve to do the tree. I got the AUD/1 reel from Bill Degen, patched it with Ihor Slabicky’s own master tape, and knew it had to go far and wide. 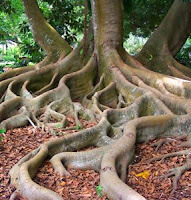 Back then (2000-2001) the way many multi-round trees were managed was within a Yahoo Group. I took sign ups, gathered about 145 people, split them into those who could burn CDs, and those who could not. I think I might have even had a cassette layer to the tree. Shorten (SHN) lossless compression was just new on the scene, and I took a poll as to who would want to run the tree as a SHN tree instead of audio. We opted to go SHN. With the kind help of some more technically adept tree members, we even got to the point where we were hosting the seeds on a private server where hi-speed capable branches could grab the shows. The truism of “what you think about comes about” thoroughly applies to the world of Grateful Dead tape trading. My own flurry of activity in getting the tree started seemed to bring more rare and un-circulating AUDs into my world. Old tapers would somehow *find* me (exactly how I came to upgrade my own 25th Anniversary tape tree of the ’73 Watkins Glen shows), and there never seemed to be a short supply of shows to digitally master and get out on the tree. It was also during this time that through a trading relationship I came to be connected with Jerry Moore, whom we all thought had pretty much fallen off the face of the earth. 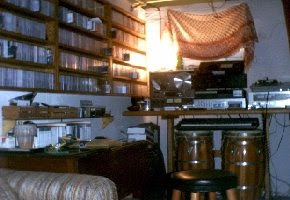 The era of digitizing Moore’s closet of master tapes began during these years. Priceless, wonderful times. I released one show every two months or so. This gave the tree enough time to run through its three or four levels of depth. The tree’s heyday was from 2001 to 2003 wherein 24 of the 27 official rounds were released. The ADT focused on AUDs from 1970-1974 only, thus, on top of that, 15 “Extra Shows” ran through the tree as well – these from the collection of tapes I was transferring from post 1974 years, plus things that would come my way already digitized. These would go out to people on the tree who volunteered to turn around and offer them back to the tree in B&P or trade. It all worked very well. Because I think the only actual list of shows treed on the gdADT is tucked inside the Yahoo Group, I’ve pasted each round here for reference. Please know that in posting this list I am not trying to tell you to grab all these shows immediately. As you've probably noticed, I have recommended a few shows from this list over the last few months, and I will continue to do so as I feel them best fit into the fabric of this blog. As true for me today as it was then. I had been trading for a long while before I was really able to appreciate stuff from the 80’s. There’s no doubt that my musical muse is kindled most by what the Dead was doing in 1973 and 1974. Early on I just wasn't clicking with the Dead that I heard from past the 1978 mark, and to a degree I had to force shows from the 80’s on myself knowing that I needed a well rounded list for trading. Generally I leaned on the friends I had made in trading to help point me to the gems that were lurking in the often hard to navigate world of 80’s Dead. The fact is, there are a lot of shows in the 80’s, most of them are around on tape, and, many of them sound darn good. This was even the case before the golden age of downloadable Dead shows was upon us. Coupled with the fact that the 80’s feature a number of less than glorious performances, it made (and makes) it rather difficult to know which way to turn. When I started this blog in February, the audience recording of this show was not circulating digitally at all. Paul had sent me a CD copy of his cassettes (1st or 2nd gen as I recall) some 7 or 8 years ago. Given my desire to hook readers up with the ability to hear (if not also download) the shows I recommend, this posed quite a problem, and I resigned myself to not being able to review the show on these pages. Recently, the efforts of the Mouth Of The Beast team released this master tape in all its glory, and thus I have been blessed with the ability to write about and share the wonderful recording. The first set feels somewhat standard as it gets its legs. 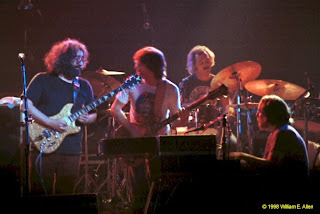 The band starts gelling more in the Me & My Uncle>Big River, and Jerry's leads begin to sparkle. The set one closing Let It Grow>China Cat Sunflower>I Know You Rider is a classic 1981 showcase of the band’s tightly wound, intricate, blistering, swirling, imploding exploding juicy jamming. You’ll get a workout trying to keep up with things here. The China>Rider sizzles. 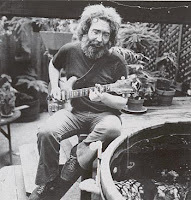 Jerry’s solos bubble in a frenzied cauldron of roiling boiling pinwheels. While he is obviously taking solos, the band reaches a terrific sense of communal playing, more often appearing as a complete mosaic of music rather than a backing band behind Garcia. It is this musical cohesion that often typifies what was great about the early 80's shows. Set two follows and delivers one glorious pleasure after another. The opening Shakedown Street has a fabulous jam that finds its way into a pocket of repeating phrases that set the band down a side path for a brief period. It’s just enough to allow them to go far enough astray from the standard Shakedown theme that you can’t help but relish how outside of the box they have gotten. Jerry begins firing triplets out into the air like a magician working his wand over a delighted audience of onlookers. The crowd loves it. You can feel the smiles in the crowd and on the stage. The Lost Sailor>Saint Of Circumstance appears like an eagle descending into the arena. There is a certain rapt attention that comes over the proceedings as the band works their power deeper into the crowd, as if everyone is forced to breath just a bit more deeply. This Bobby song duo had its heyday in the early 80’s, and there’s really little else like it. Its tight arrangements left small openings for any real exploratory jamming. However, the small pockets it did allow are sensationally delivered on this night. You can feel the energy ratchet up in the Lost Sailor as Jerry and the band go through what qualifies as the solo section getting louder and more intense all the while. The Saint Of Circumstance is clean and full of fire as well. From here the band goes into a pre-drums Wheel which is the focal point of the set. Soundman Dan Healy makes the already psychedelic tune even more so by applying all sorts of delayed echo effects to the opening section. This is not by any means distracting. In fact, it shows him to be a perfectly balanced finger on the hand that is the entire band. The jam out of the song blossoms into a quick paced romp featuring more of the tightly wound, multi-instrument interplay that has already graced the show. This jam evades labeling very nicely. It really encapsulates the voice of the band from 1981 - the band is playing in their current "pocket." It’s a long jam, and satisfies on all levels. From it, the band debuts Brent’s Never Trust A Women, which then melts back into a second jam. This one is more a Jerry solo over drums followed by a Brent solo over drums. Out of a mildly intense Space that hints a few times at returning to The Wheel, the band finds itself in a Spanish Jam which is always a neat treat, as it didn’t come around all that often. Truckin’ is next. It’s nicely done, with Bobby flubbed lyrics and all (Give him a break. He’d only had a few hundred times to practice the song before this night). 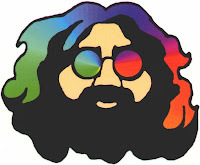 The playing out of Truckin’ relaxes into a sweetly slippery jam that darts around like a kite on the wind before settling into Wharf Rat, and the show rounds out with a standard Sugar Magnolia followed by US Blues which had become a fixture in the encore slot. This tape is a great slice of 1981, delivering on many levels, worthy of a listen. Highly under circulating, it’s one of those needles you almost didn’t know was in the haystack at all. There are certain quiet corners of Grateful Dead recordings that won me over to the band’s music far more than the famous shows. I recall being completely turned off to 1978 by the first tape I got, 10/21/78. Everything I read about it indicated that it was pure gold. Well, not for me. I avoided the year for a good while after that, afraid that the entire year might strike me the same way. Even the July Red Rocks shows somehow missed the mark for me. Then I bumped into the shows from just before Red Rocks, July 1st, 3rd, and 5th. Maybe it was the audience recording flavor, or in part having to do with how hard it was to find them in trade, but these dates opened my eyes and ears to 1978. All three dates are worth hearing. But July 5th, 1978 is a clear highlight. It’s a perfect package from front to back. You can feel it right from the opening Sugaree. 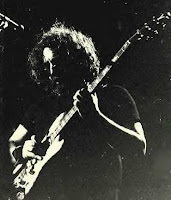 Jerry’s solos are wonderful. The Beat It On Down The Line burns. The first set has that special feel to it, and you can tell that everything is touched with a little something extra . Mind you, I am walking you into Bob’s “learn slide guitar on the job” phase, and I apologize in advance for this. Haven’t heard about how bad Bob was on slide? Well, my friends… there is little to say, and painfully plenty to hear. This show has a great Lazy Lightning>Supplication to close set one. Not only does Jerry tear it up in the Supplication jam, but the final choruses go on and on, drawing more and more energy into the music. Bobby seems unwilling to finish the song, letting it go and go. Eventually they stop on a dime and the set ends. The real highlight for me is the Estimated Prophet jam leading to Eyes Of The World. This Estimated flows into some lovely Garcia solo work. His playing is fully inspired, rounding over and over itself with beautiful lines until the band flows into a brilliant passage near the end where the drummers lock into a rhythmic pattern not unlike an Other One groove that completely does away with the downbeat, leaving it impossible to count the measures. Jerry’s playing does cartwheels over head and the band is completely at one with the moment. This small section is blissful. You can feel yourself being absorbed into the music. It draws your attention, silencing thought and elevating the senses. It is fleeting, to be sure. But these are the moments that carry the band above a mere musical experience. I can come back to this passage again and again. The jam enters a sweet enjoyable Eyes of the World with Jerry working the melody of the verses into unique phrases, changing notes and giving emphasis to words in ways not typical of the standard song structure. This, laced with strong solo sections, makes for a very nice listen. Out of Eyes we get a Phil jam with the drummers before the actual drums and space section. It’s a lot of fun, reflecting back on his monster solos in 1973. 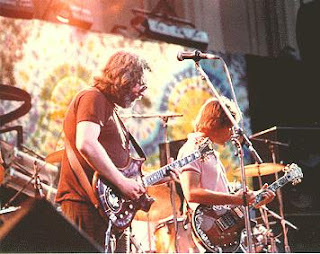 The post Space section of the set is most notable for Jerry’s solo in Wharf Rat which just explodes. It wastes no time building from anywhere. It starts on a peak and pushes itself into the sky, possessed with emotion. 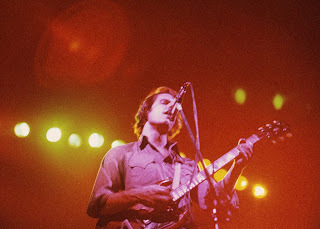 Bob Wagner, who took it upon himself to travel from his east coast home and do the summer tour across the Midwest thinking that if he didn’t do it, he might never hear the shows on tape, recorded this show from in front of the soundboard with his mics spread out roughly eight feet apart. It makes for a very nice recording. His master tapes of this night were stolen from his car only months after the show. But, at the show he allowed another taper to patch into his rig, and thus we have Tim Knight’s master tape preserved here. Amazing how things work out that way. This is a great show, relatively unknown, tucked away in the quiet backwaters of the 1978 summer tour. Enjoy! You know, she might have to get her name up on the plaque with the big boys. Joani Walker could tape some Grateful Dead! She consistently “got it” on tape in "A" quality form, and we are very lucky to have easy access to her treasure trove of master tapes. Here again, she gives us something very special from a corner of the Dead’s musical archive that you might not generally turn to on a first, or second pass. Spring 1979. 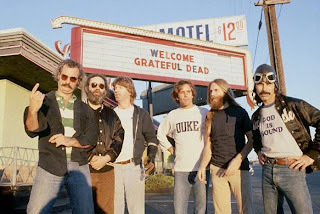 Brent Mydland had just joined the band on keyboards a scant few weeks earlier, and he energized the band on all levels. The Spring ’79 tour is packed with excitement. It’s a great run of shows that offer many highlights. One of the dates that might somehow live in its own shadow is the May 5th performance. Perhaps it’s from revisiting this one through the tape that Joani made, but I really find this to be a super slice of 1979 Dead. The first set Sugaree is as excellent as it is long, clocking in at about 14 minutes. 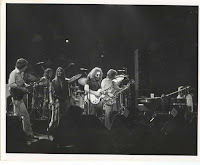 Jerry’s voice just sits right on the bridge of your nose, and his guitar fills your head while the band dances all around him. Each solo builds until the last one finds him pulling off the rapid paced picking scales that typify his evolving playing style of the time. The set closes with a Dancin’ In The Streets that feels fantastic. Jerry dives into tight spirals that fly by as the band delivers a fast paced dancing climax to the first set. The Scarlet>Fire that opens set two is extremely satisfying in the slow and graceful transition into Fire On The Mountain. It seems to take forever, and in doing so, you can’t help but smile while being lost in between songs. The pristine recording quality makes for great enjoyment of the Drums section, and while the Space isn’t colossal, the jam out of it that feeds into the Other One takes the band into a completely timeless zone. You can’t really place the band into a particular year during this prelude jam. It lopes along with a mellow jazz 1973 vibe, like a gently flowing river, while having the bubbly effect of a 1976 or ’77 jam. Almost the last thing it sounds like is 1979. It ambles along for about four minutes or so, and while understated, it serves to bring this entire show up another level. The Other One itself is also full of nice twists and turns that are reminiscent of some more aggressive 1973 Other Ones. Not a show that ends up in the record books, but absolutely a quintessential Grateful Dead ride from start to finish given the caliber of Walker’s recording talents. It strikes me as a very nice page out of the Grateful Dead book with phrases not often read, but fully worth the reading.